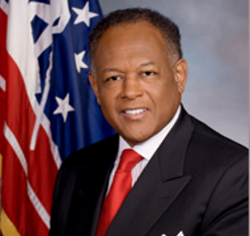 Richmond, Virginia Mayor Dwight C. Jones has a problem. According to news reports, it seems that work done for the church he heads was done by vendors and contractors that also do business for the city and it looks like at least one city employee used city time and e-mail to oversee construction at the church on behalf of the Mayor. The appearance of irregularity is something that needs to be investigated but the Mayor believes the scrutiny is a violation of the separation of church and state. You can’t use the 1st amendment to block an ethics investigation. This entry was posted in Entanglement, Politics and tagged 1st amendment, church and state, Dwight C. Jones, ethics, investigation, Quid pro quo, Richmond Virginia on January 30, 2016 by Doug.